The 2015 wines are here! But... what was the harvest like? In short: We had a very hot start of the summer, but all the tension paid off with a memorable vintage. Read on to find out what happened. Generally speaking, 2015 has been a hot year. Incredibly high and long-lasting temperatures in June and July made us think of 2010 or even 2003 and anticipate an early harvest, but some rains at the end of July together with cooler temperatures in August slowed down ripening. Eventually, white varieties were harvested earlier than usual but ripening levels became steady at the end of August, just in time for reds. 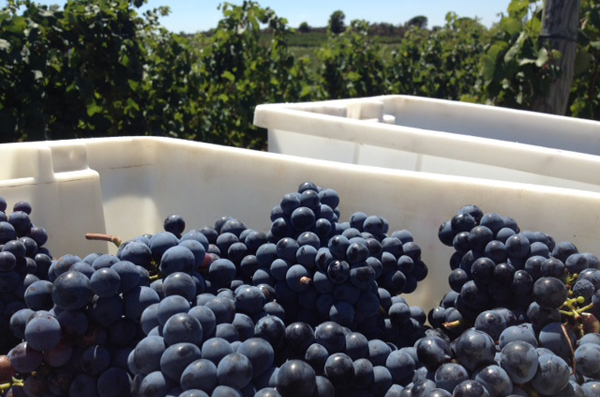 From then, harvest continued at a regular pace until the end of September. And finally, the local Northern wind, Tramontana, blew quite strongly in Winter and Spring, with a specially violent episode in May, which even broke some young shoots. Harvest kicked off on August 10th and finished on September 28th, harvesting the last plots in Mas Marès, within the Cap de Creus Natural Park. Generally speaking, it has been a long, smooth and steady harvest, which has helped enormously our work at the cellar, separate plots as we wished and pay absolute attention to detail. Last but not least… the wines! We were able to work smoothly at the winery and achieve the type of wines we like to make: overall moderate alcohol; aromatic, vibrant and smooth whites and rosés with personality. With both, we have reached nice acidity levels that ensure refreshing, racy wines. Reds show outstanding elegance: with prominent red fruit combined with forest floor and spice. Powerful, but juicy at the same time. We keep working towards a clear goal that defines Espelt wines: Complexity and Drinkability.